Voice inside my head says yes. But, I know it’ll cause me more hassle. Patience..... I got some of that. Yep set that bad boy up, at least then it'll be well on its way to being fully established by the time you have to move it (which always seems like its way harder than it actually is). Im sure if I see yours Alex that'll inspire me...….. Going from FW to SW. It is funny to me what SW keepers consider aggressive. Hear it time and time again, one tang per tank. Yeah maybe if you have a small tank, but even then Tangs probably aren't a great option as the majority get fairly 'large' and they really like a lot of space to graze. I have 5 now, and when i add a new one, the Powder Blue goes after it for 3-4 hours. Then the next day its like the new fish has been there since the start with 0 aggression. They actually even seem to 'enjoy' each others company. Look at the pics the 5 tangs are all within a foot of each other in both pics. This wasn't a coincidence either. They seem to actively graze as a group moving about the tank - even though they are all separate species. With two in the genus Acanthurus and two Zebrasoma and a lonely Naso for now. Edited by Peckoltia, 20 December 2018 - 09:15 AM. come on Jules - set it up!! 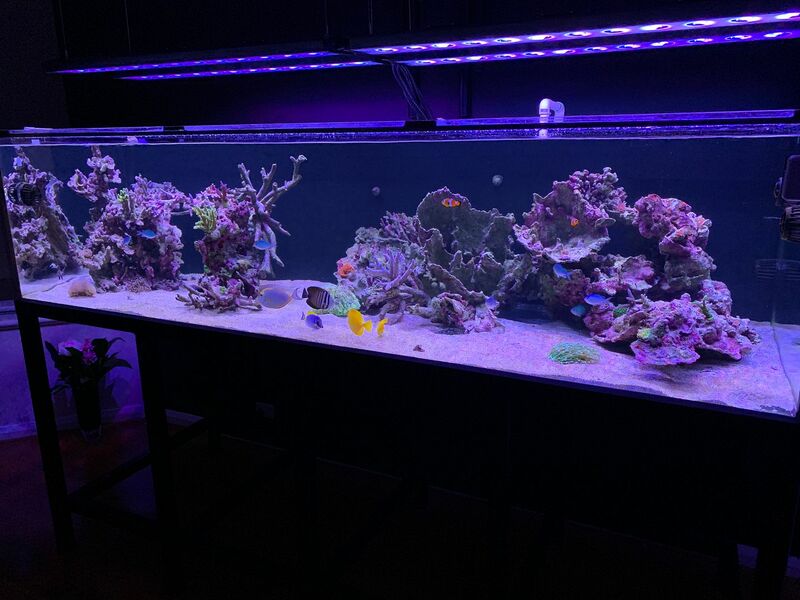 Looking so good Alex...….. Really makes me want too...…..
Been chatting to the guys at Reef Secrets over the east - going to get a shipment of new corals sent over in the new year. They have heaps of great SPS - just need to hold out until then which is tough. Just checked their site...…… Far out, some specy stuff! Yeah they have lots of great frags. I have their Dallas and lightning blue acro already both stunnning. 4x2 is loaded with all its occupants from my old tank. Super happy with it. Plants have all thrown new leaves too which is a good sign! Just need another cool fishy or two! So sold my last ray - sad day...…. 4x2 operating really well and looks clean as a whistle! Super happy. Wow, trying to think back if you had rays when I came around. Yeah I would of, had rays for about 7 years. Until I get an Asian arowana, then maybe ill get some BDs again! Price on black rays is coming down rapidly! Yeah, soon they'll be the new 3 ways! Seen ray pups going for 200 bucks too now! The freshwater tank is going ballistic, plants growing like weeds, had to trim and throw away some bolbitis! Overall pretty happy with this tank, so will just leave it do its own thing! 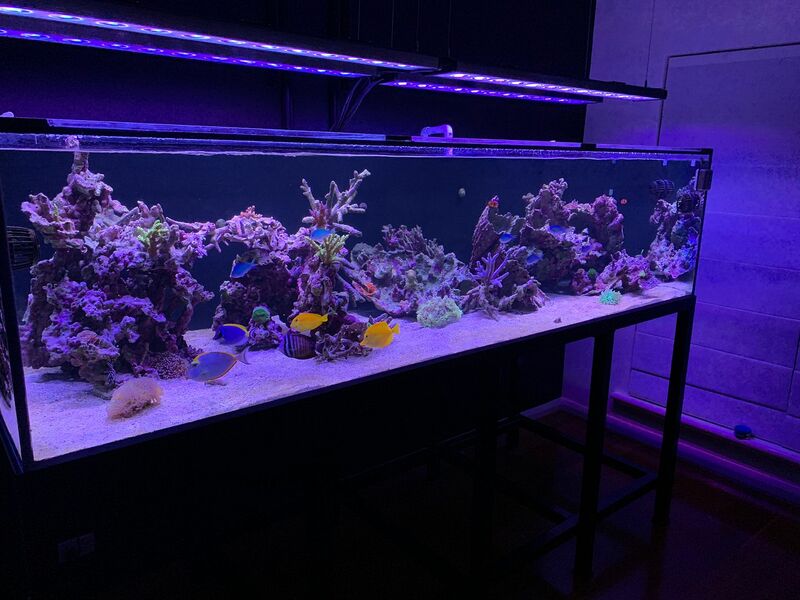 Finally sold my snakes, now looking to invest in a calcium reactor for the reef tank - expensive hobby this marine stuff. Calc Reactor is the way to go - set and forget.